Can you see what’s in soft focus, in the back? Behind the little dumpling-purse in the photo above? It’s a half-moon type dumpling. Take my advice. Don’t do that. Instead — take these. And fill them with a crab-&-cream-cheese-type-recipe. And then do this. You do not want any air in these babies, or no matter how tight the seal, they will leak because they’ll be little puffers. And then they will splatter the oil. The best shape for these is little purses. Just place not-too-much filling in the center of the won ton wrappers, wet the edges, gather all the edges together, and squeeze gently. If anything seems not to be sticking, wet your fingers and coax them together. Then fry until golden! In the bowl of a stand mixer with the paddle attachment or a large bowl with a hand mixer, place the cream cheese, crème fraiche and sugar, and beat until smooth. Add the tamari, Worcestershire sauce, and garlic, and beat again until well combined. Using a spatula, carefully fold in the crabmeat, being careful not to mince it. In a heavy-bottom saucepan or deep fryer, heat about 3 inches of oil to 350°F. Line a large rimmed baking sheet with unbleached parchment paper and set it aside. Line up 6 to 8 won ton wrappers on a parchment-lined work surface. Set up a small bowl with lukewarm water alongside the wrappers. Dip your fingers in the water bowl, and use them to wet the entire border of each of the wrappers. Place about 1 teaspoon of filling in the center of each won ton wrapper. Gather together all of the sides of the wrappers toward the center, carefully eliminating all trapped air as you work. Press together all the edges with wet fingers. Place on the prepared baking sheet about 1 inch apart from one another. Repeat with the remaining wrappers and filling. Blot the filled won tons dry with a paper to towel to prevent splattering during frying. Place the filled won tons in the hot oil in batches, taking care not to crowd the oil. Fry for about 2 minutes per side, or until golden brown all over. With a slotted spoon or spider, remove rangoons and place them on paper towel-lined plates to drain. 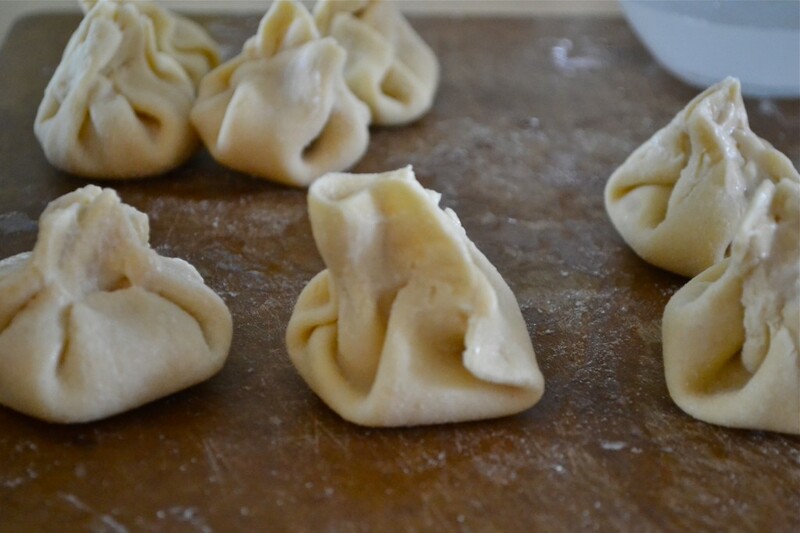 Repeat with the remaining won ton wrappers and serve immediately. Oh my gosh! I haven’t had rangoons in 5 years! Gotta try this!!!!! Thank you. I’m so excited to make these!!! I miss crab rangoon! Ok, I tried to Pin this. It said that I did on Pinterest, but it didn’t show up on this post like it did when I shared this on FB. Wondering how on earth Pinterest works! AHHHHHHHHH!!!!!! Do you have an account and a ‘board’ on Pinterest? You can also try going to my Pinterest account, and ‘repinning’ my pin of this picture/post. Thank you for trying – and I’m sorry it’s so frustrating! Can I just say how happy I am that your recipe doesn’t have ONIONS??? Way back when, before I was gf, I STILL couldn’t order Crab Rangoon because they always put onions in there and I HATE onions! Thaaaaaank you!!!!! You should have this for all you do for us. I hope I’m allowed to post links. i have been craving pot stickers for i dont know how long!!! im so excited. i can think of so many things i could use with this!!!!! Shut up. These are my all time favorite! You are my hero, I tell ya!!!! I’m so going to make these tonight along with the lemon chicken recipe from your cookbook! 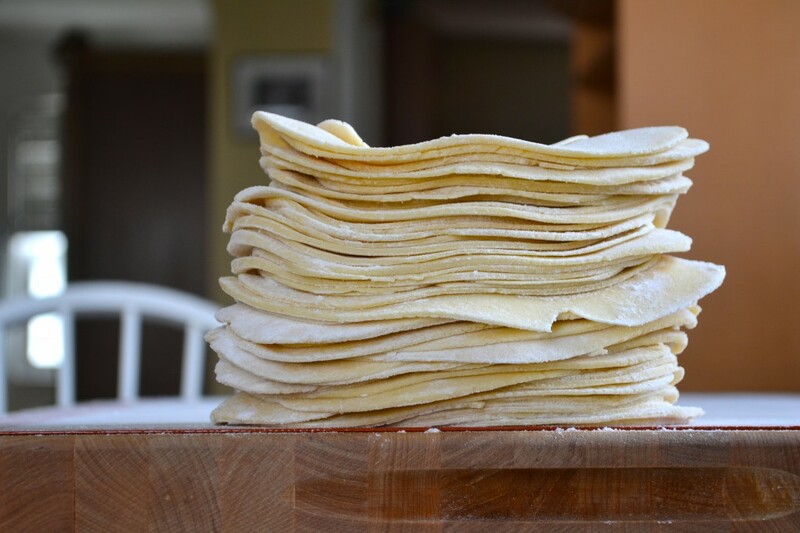 question…when you freeze the wonton wrappers…do you freeze them in a pile, or do you seperate them with parchment or plastic wrap? I am curious to do so, but don’t want to screw it up! Great question! I freeze them in a pile, just as you see them in the photo, with only a dusting of flour between them. They don’t really stick together at all. And as long as you don’t roll them too thin, they won’t stick together. They’re such a great thing to have in the freezer. I have been giving the hard sell to every company I can find, to try to get them to manufacture GF won ton wrappers for sale. No one seems to think there is a big enough market for it. I have no proof, of course, but I bet they’re wrong! Oh Yum Nicole! I LOVE crab rangoons! I am craving and apple cider donut. Do you have a recipe for that. I can’t find one if you do. Thanks! 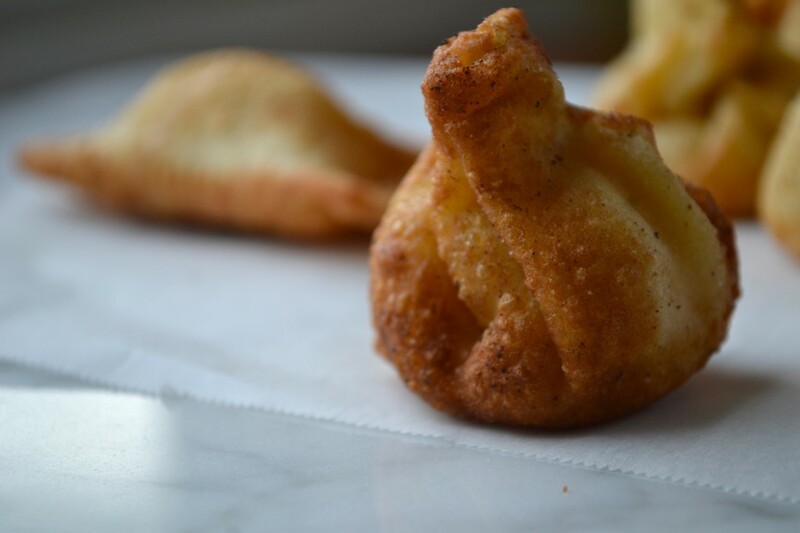 I have a recipe on the blog for Apple Fritters and one for Sugar Doughnut Holes. I hope that helps! ahhh yes! I’ve been craving these! I love this recipe, can wait to make it! Is it better to fry em on top of the stove or by using a fry daddy?? It is almost always neater and cleaner to use a separate deep fryer, but I hate all of the wasted oil so I often don’t use mine – and prefer instead to fry in my wok. Smaller surface area, so I can create a deeper well of oil but still use less oil. I have a cover for my wok, so I can keep a pretty consistent temperature, too. It’s really just a matter of personal preference. I hope that helps! Yes!!!! I have been craving chinese food ever since being diagnosed with a severe wheat allergy. THANK YOU SOOOOOO MUCH!!!!! Your recipes, make this allergy SO much more manageable. Thanks for all you do!